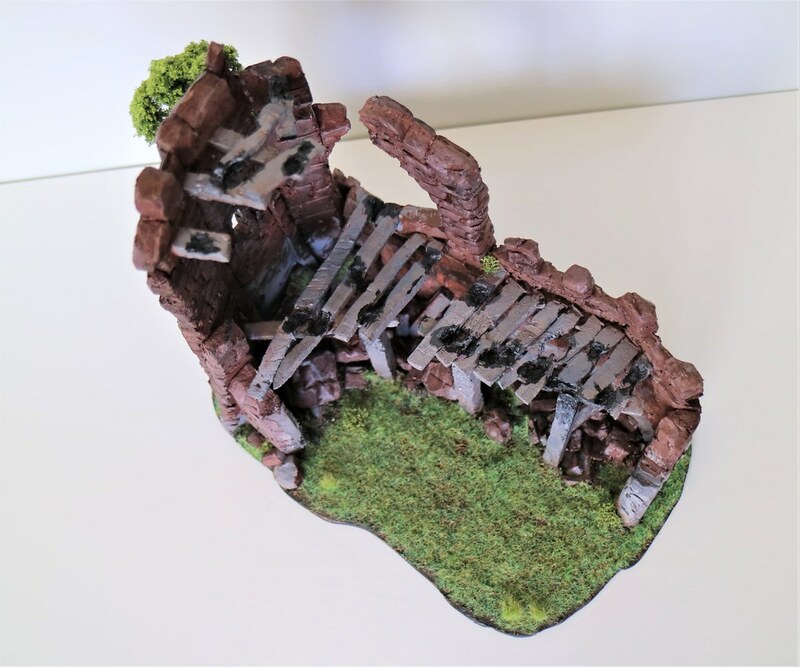 While I can't afford any more expansions I've been working on some Runewars terrain! 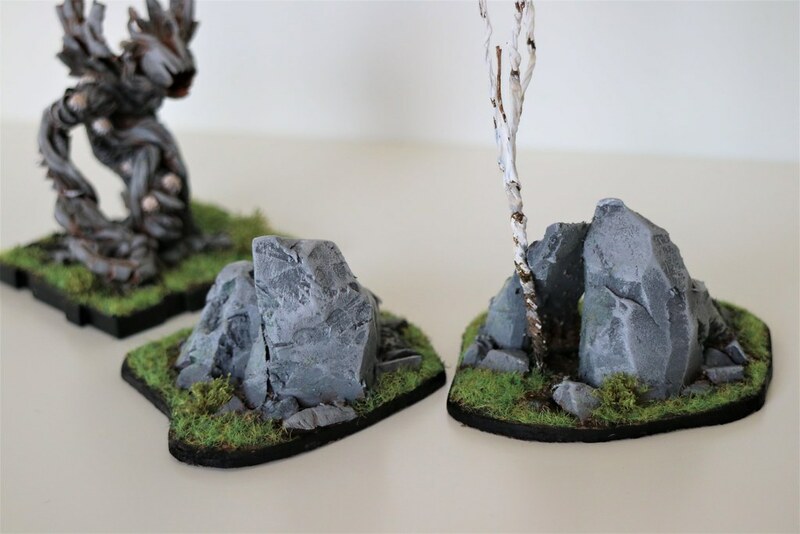 Here are my work-in-progress Rocky Outcrops. 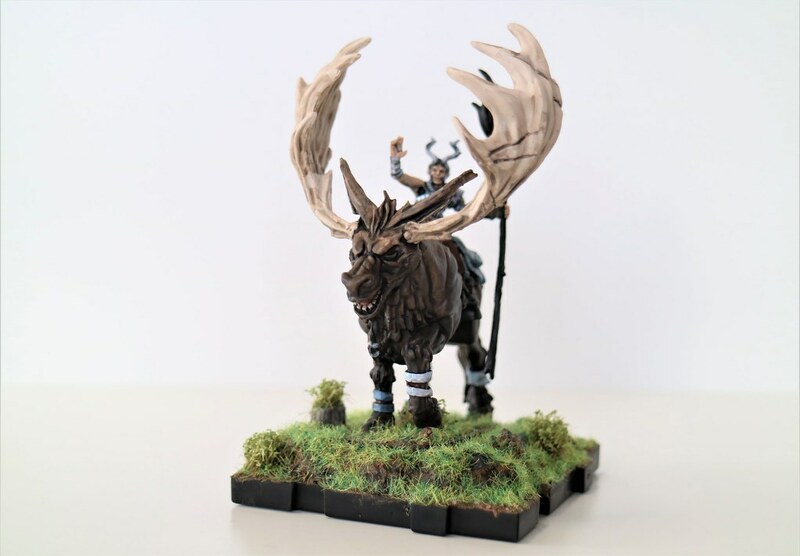 They're pretty much complete except that I want to paint the edge of the base black and maybe touch up the dead birch tree a bit more. 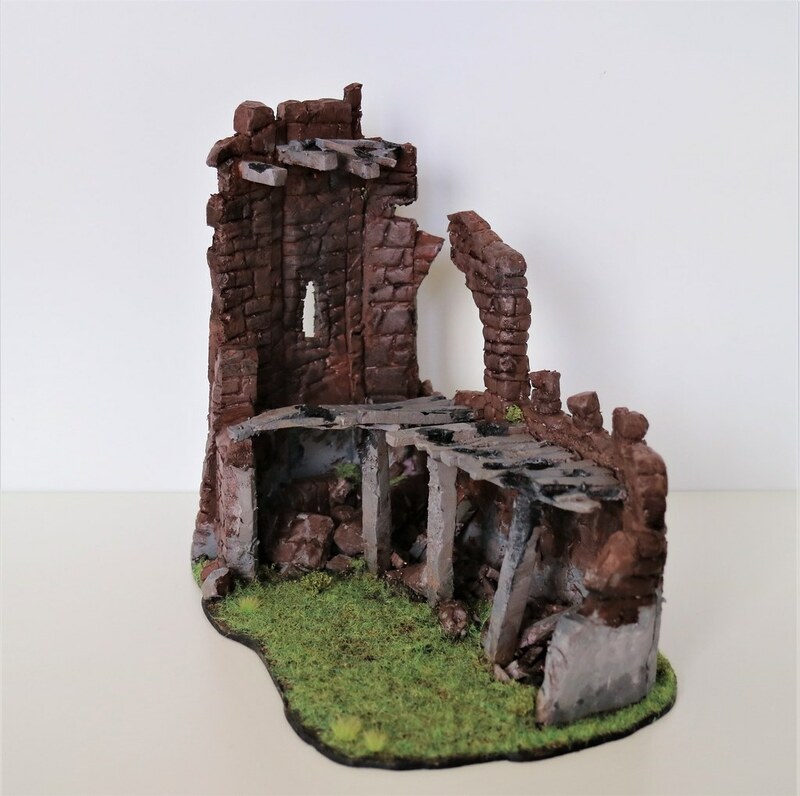 I'm also considering doing a dark wash on the rock, but I'm not sure how the foam material will take it. 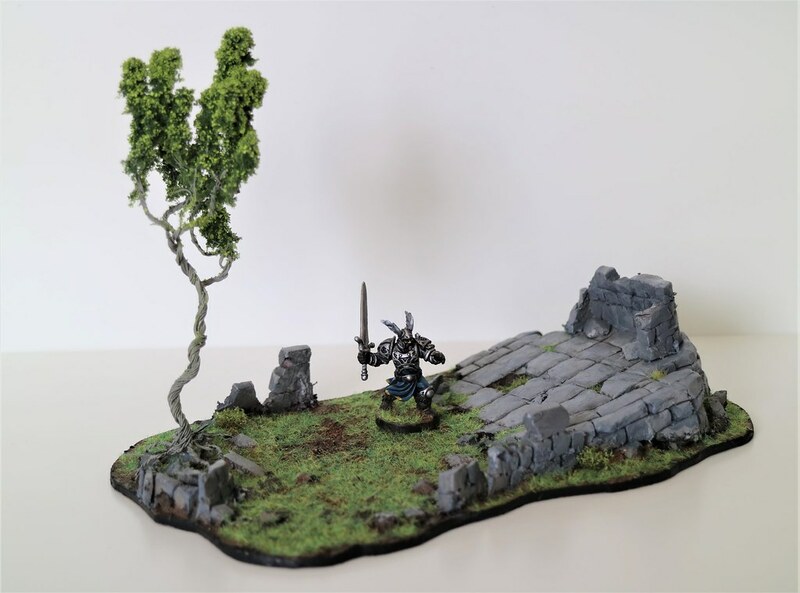 I've never done terrain before so most of my work is blind experimentation. Once they're done I'll get some nicer pictures uploaded. Speaking of blind experimentation, I chose a bad material to use as a base. It's light and tough, but really hard to cut. I tried to get the bases as close as I could to the actual shapes, but they're a little smoother and a little bigger than is accurate. I guess all my armies are just going to be training in tougher conditions than is normal. 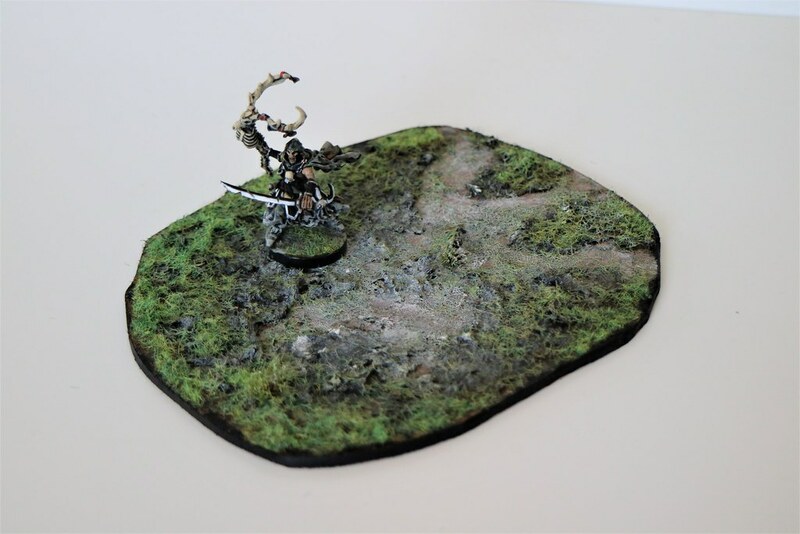 Get some linoleum tiles and try that as a base for your terrain. 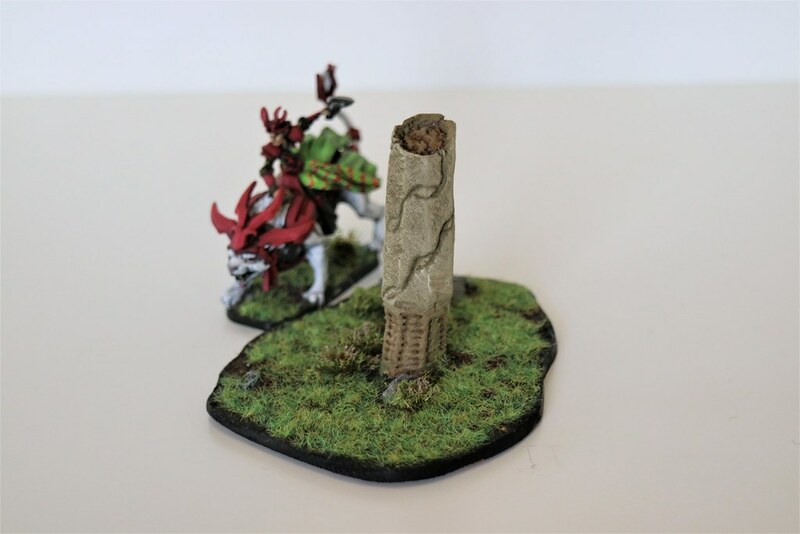 It's what I based my Latari terrain pieces on top of to test the material. It's a bit bendy so I wouldn't use it if I wanted to pour a large body of water on it (it would likely warp inwards) but for hills, walls and forests it should work fine. 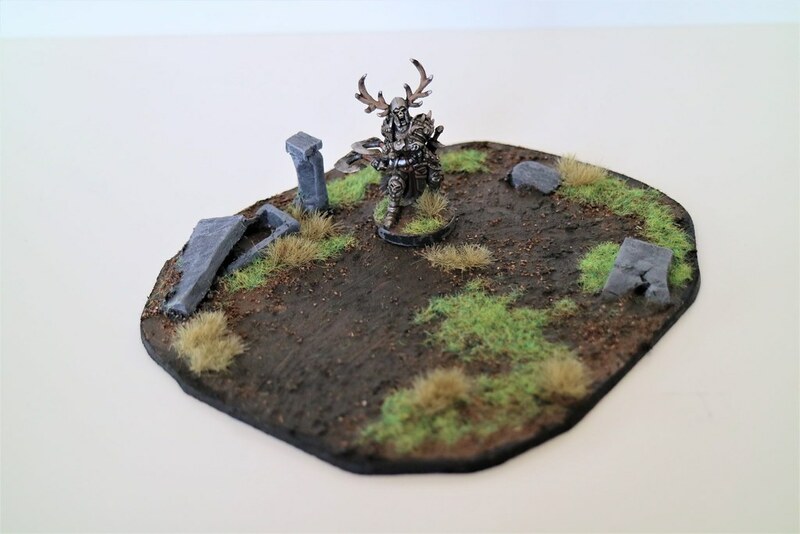 The material has good heft to it so the terrain will stay in place, it takes PVA very well and the best thing is - you can cut it with scissors or just slice pieces with a craft knife. i would suspect linoleum tiles to be a pain to cut in those odd shapes though, or was that not the case for you? Huh, possibly a case of 'that material called XY is actually something completely different from what the rest of the world calls XY'. Googling for a bit it turns out the tiles for 'linocutting' are something more rubbery, while still being called lino tile. Weird. "Some artists have found commercial flooring ‘lino’ that is suitable. This is not actual linoleum in the traditional sense, it’s made of a kind of plastic, but if you can find one that is smooth and cuts well, go for it! This will be cheaper than the artist’s linoleum." 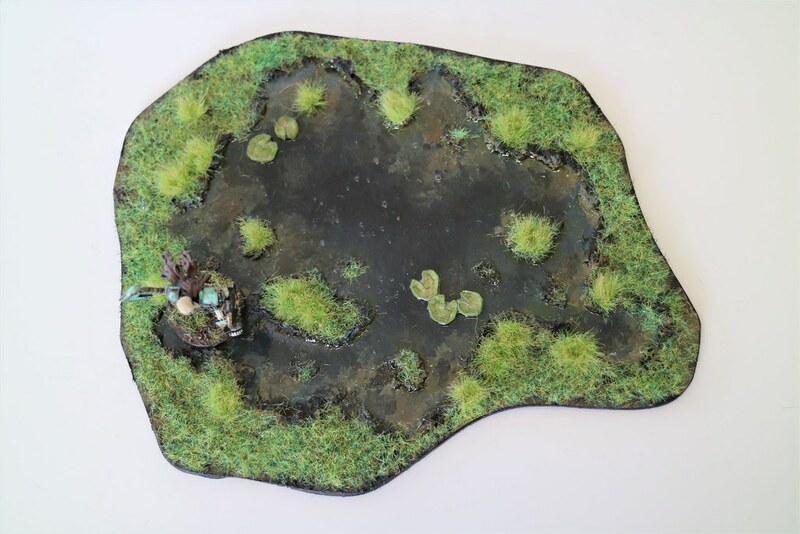 Well... here's all the easy terrain. I'm working on the shrine right now and the trees for the forest are ready, they just need leaves. 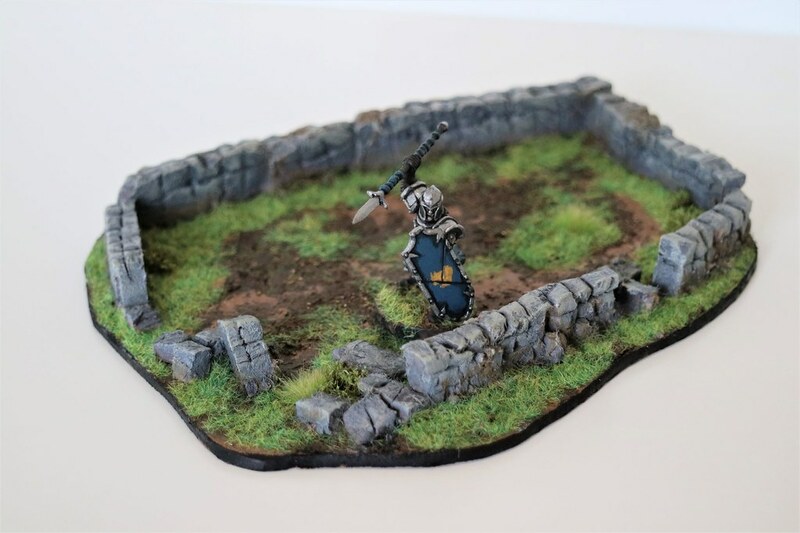 I'll post the rest of the terrain as I get it finished up. I'm happy with most of it, but it's my first try so I might revisit them or redo them if I have time in the future. Any tips or advice are welcome! 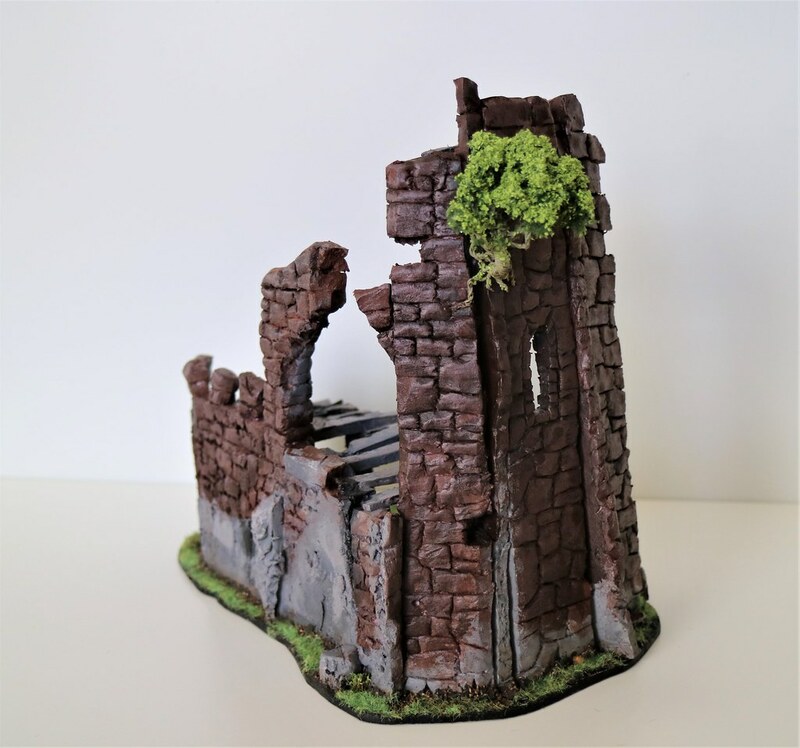 Can't wait to feel far enough ahead on painting to make terrain ? 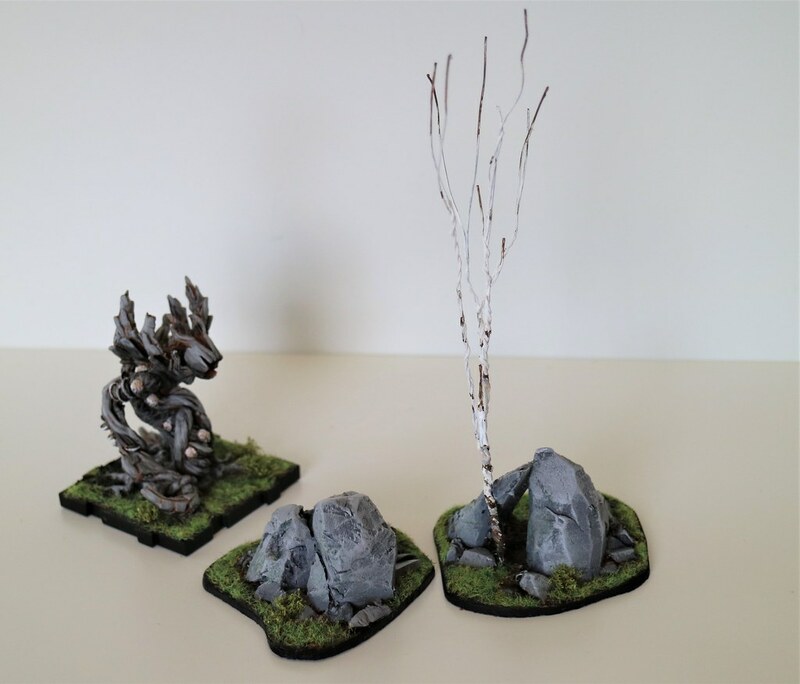 Here's the next two terrain pieces I have completed. I only have three left, but I'm not sure I'll be able to finish them before the 5th. 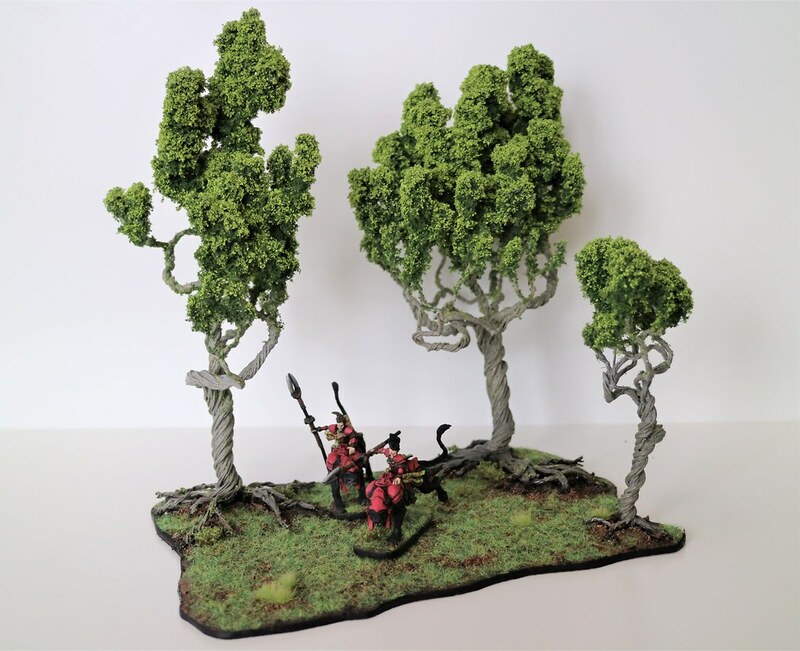 The trees look pretty good in the picture, but I purchased the flock and the leaves separately online (sight unseen) and the greens contrast a little too much in my opinion. 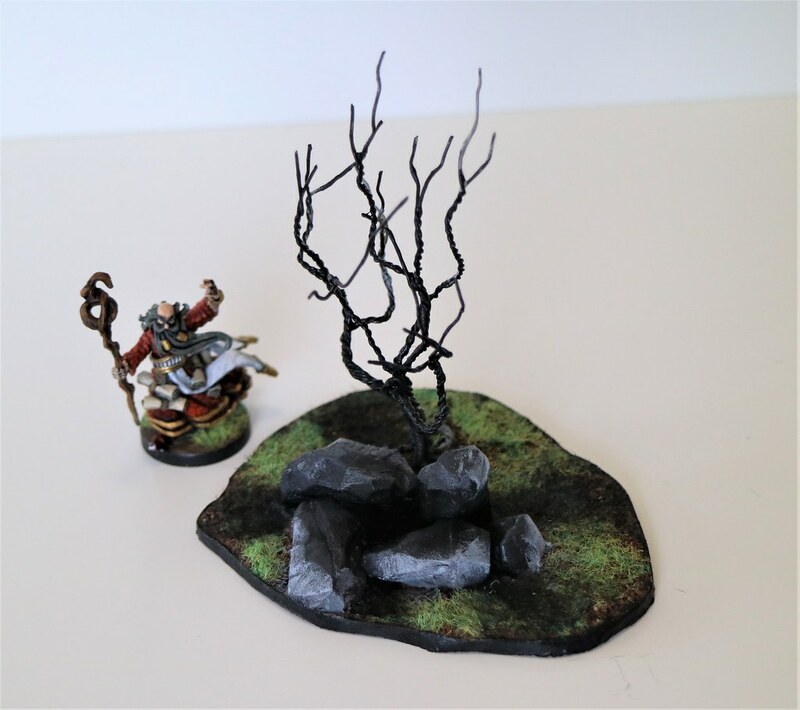 One nice thing about wire trees is that they're easy to magnetize. 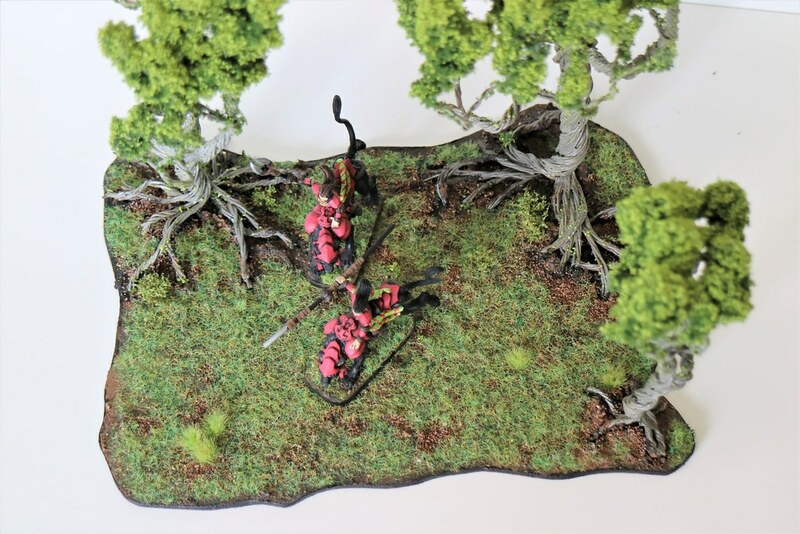 I added about six magnets for each large tree before there was enough attraction to keep them attached to the board when I carry it around. I still can't quite flip the board upside down, but it's close. 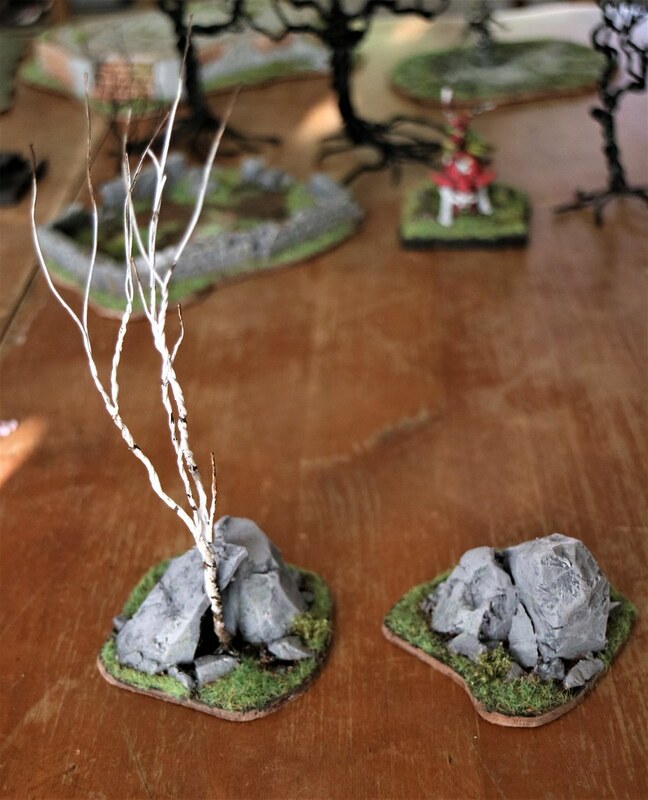 I made sure each of the trees had a root system large enough to be free standing in case I wanted to use them on the table for decoration. These look great! Good work. 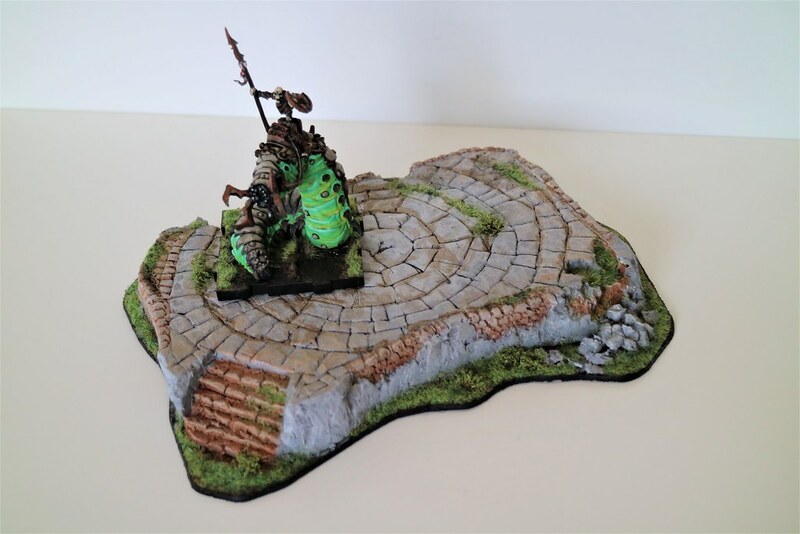 Does anyone have ideas for the stronghold terrain tile that comes with Lord Hawthorne? I was trying to build the 3d version last night and I'm a little stumped. 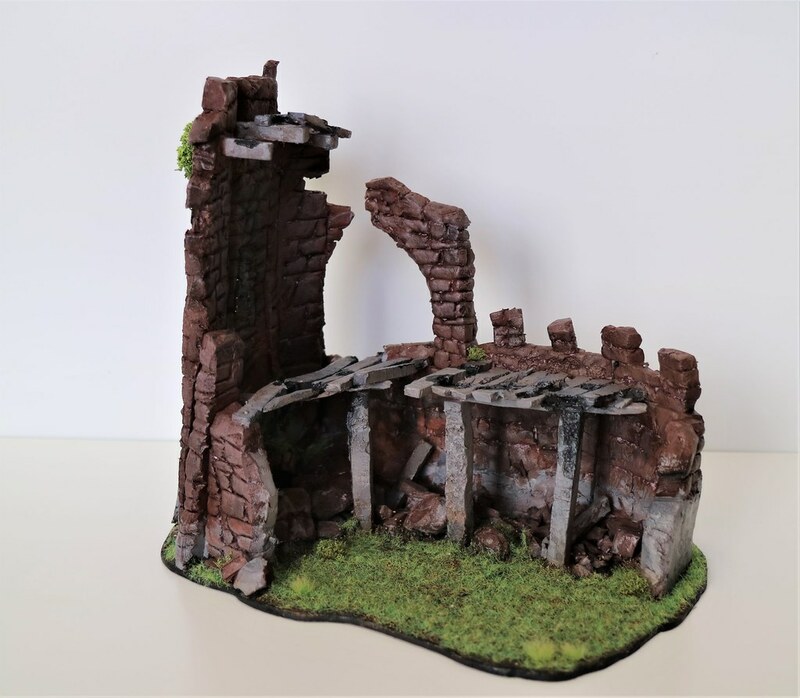 I really don't like the art on the terrain (half a fort doesn't make a lot of sense when you can be attacked from any direction) so I've been messing around with a crumbling/ruins concept. The issue is that it's both elevated and fortified. 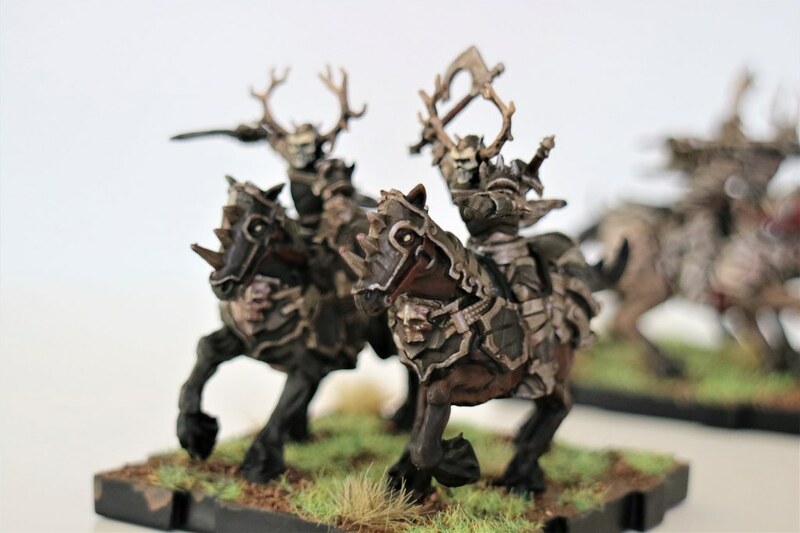 I want a higher position that archers could fire from, but I don't think it makes sense to have horses ride up onto a wall... Does anyone have suggestions on a good way to incorporate both? 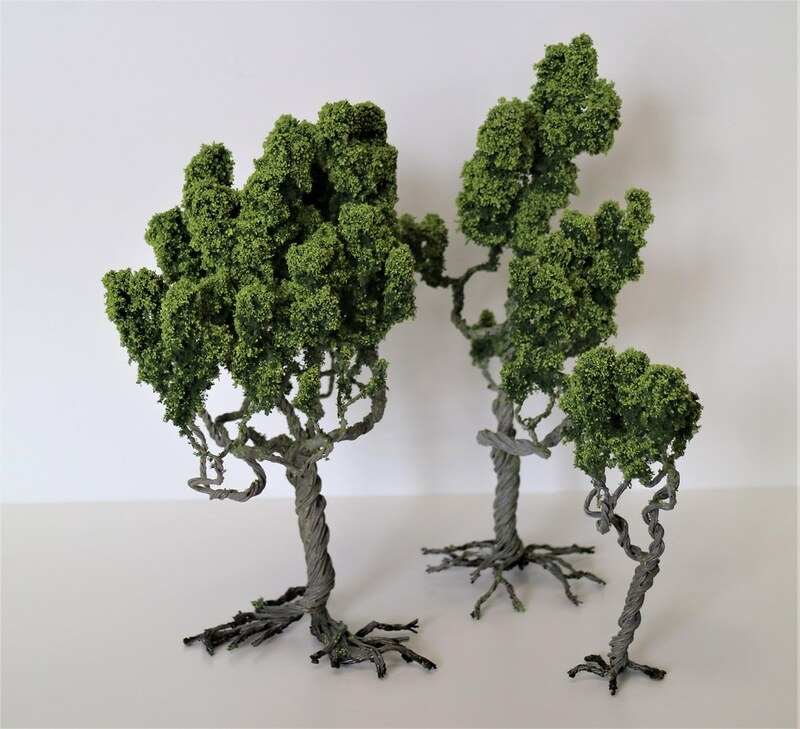 What you using for tree foliage clumps? 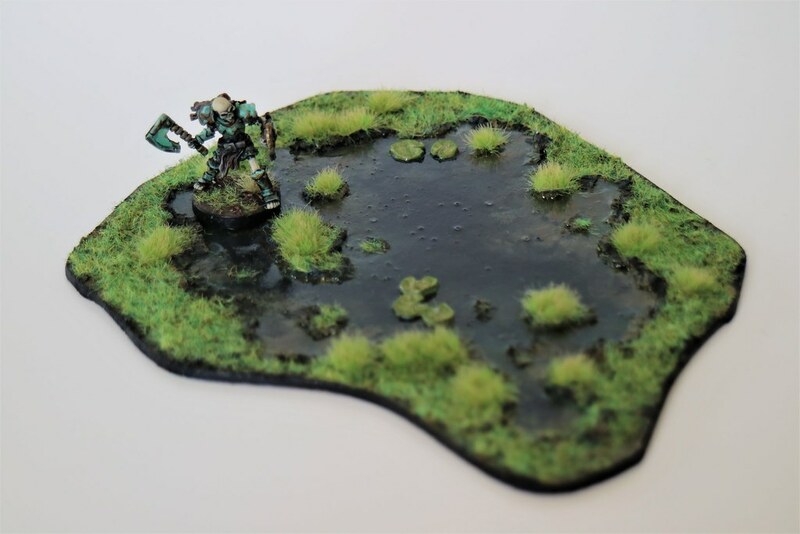 I used Woodland Scenics Course Turf (Medium Green) and applied that in layers with some spray glue. Once that was done I put a layer of Busch leaves over the top. I pretty much tried to do exactly what Luke Towan was doing in his tutorial. This one took forever and deviates quite heavily from the source material, but I like it a lot. 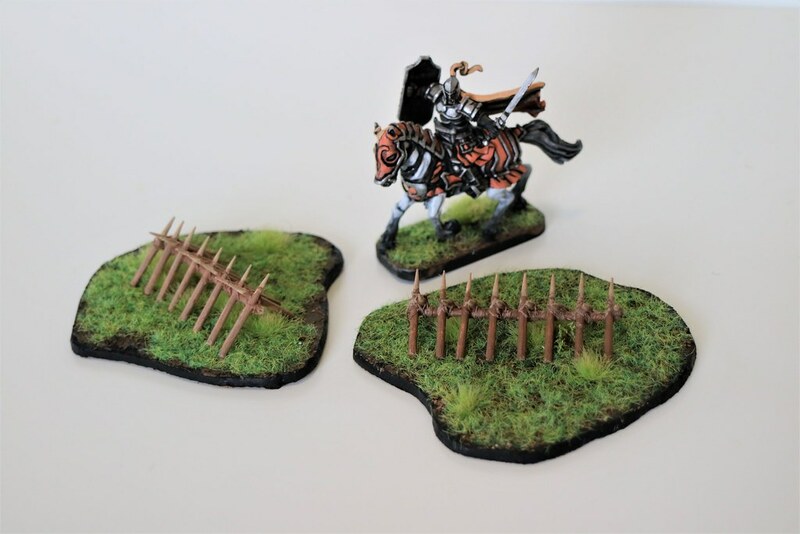 I like the idea of having a really tall structure that isn't trees on the battlefield, and the terrain has space for 2 trays of cavalry without making the horses climb up onto ramparts. 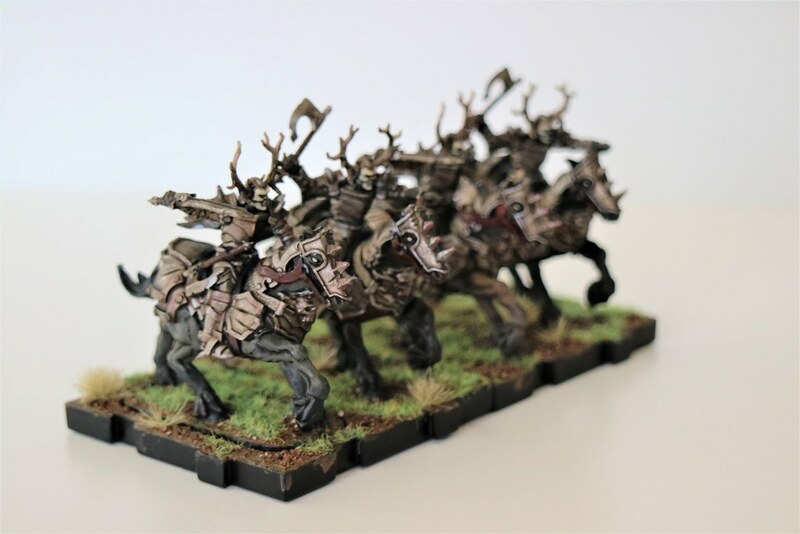 The wood has either been burned or dissolved with blight from Carrion Lancers (a side effect of not knowing that superglue eats through foam, but then actually liking the result). Stunning. The plank details, the mortar work, all of it. So good! Your crumbling wall gives mine self esteem issues ?, very well done. Getting so much inspiration from this thread! Thank you, such great work! 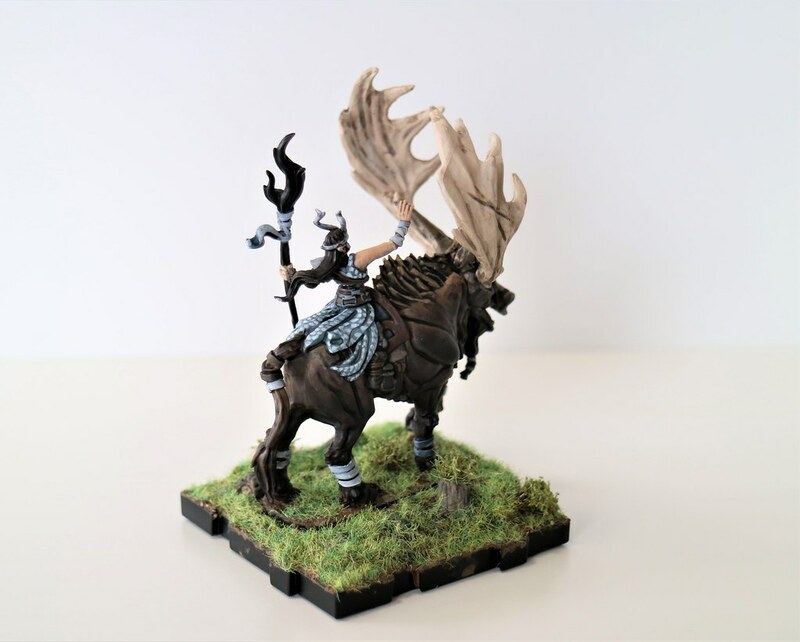 I'm not much into the painting/modeling side of the game. With that being said, WOW, your stuff is so amazing. 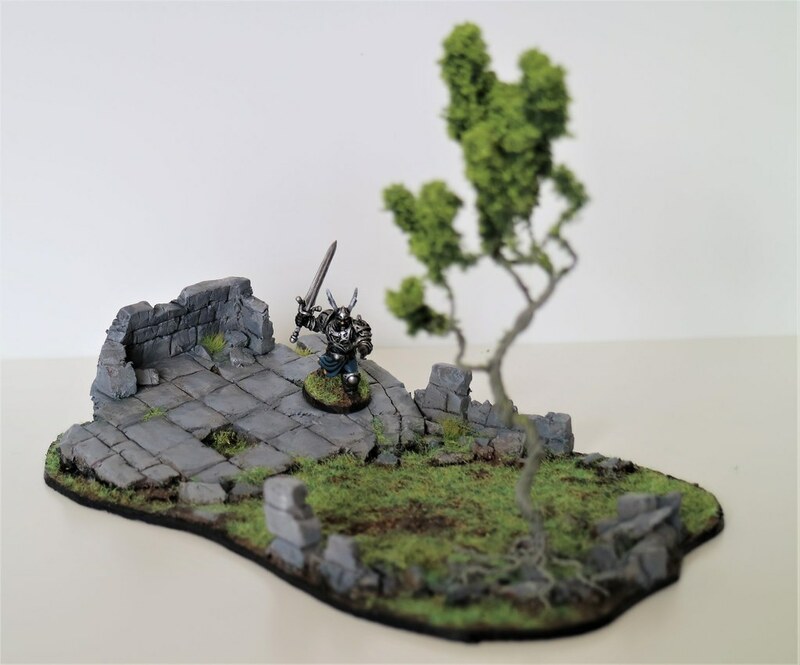 The 3D terrain is insane, and knowing that it takes forever to paint each of those, I don't understand how you have enough spare time to do that! 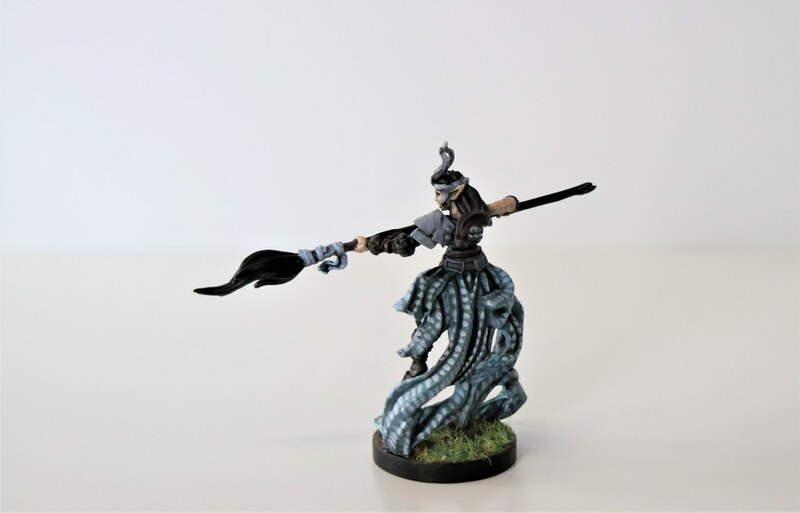 I don't even have kids and I can't find time to play much let alone paint. Thank you I really don't think I have enough time either, but whenever I'm watching tv I'm painting as well. Something in my mind just doesn't equate it with work. I know Reanimate Archers aren't a terribly exciting post at this point, but they're significant in that I can tell my speed is improving. I think I'm getting a much better sense of what detail I can leave out (especially on models like grubby skeletons) without compromising the final look too much. As a side note... 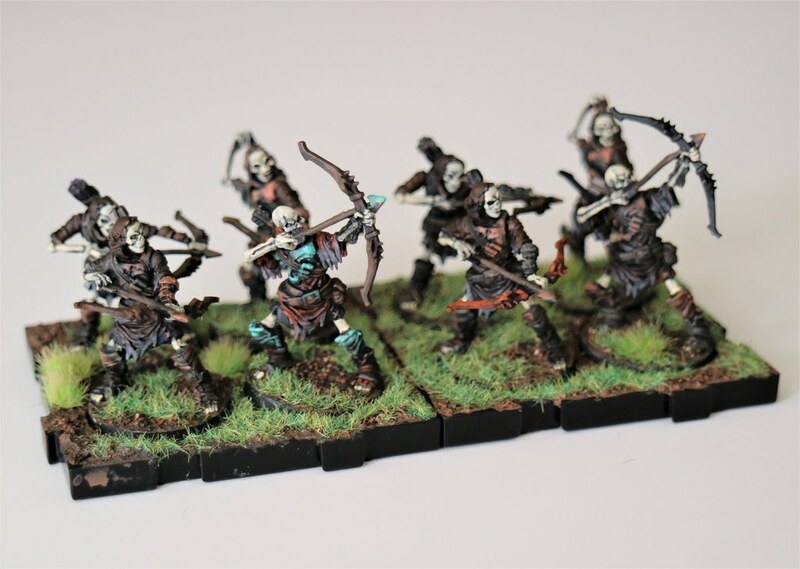 I mixed up the arms on the archers accidentally, but the resultant figures don't look too bad (although one skeleton might be spacing off and about to shoot his friend). I definitely like having more figure poses then the four default ones. Also, I finally bought a second core set! It's a comfort to know that it won't take me as long to paint as the first one. 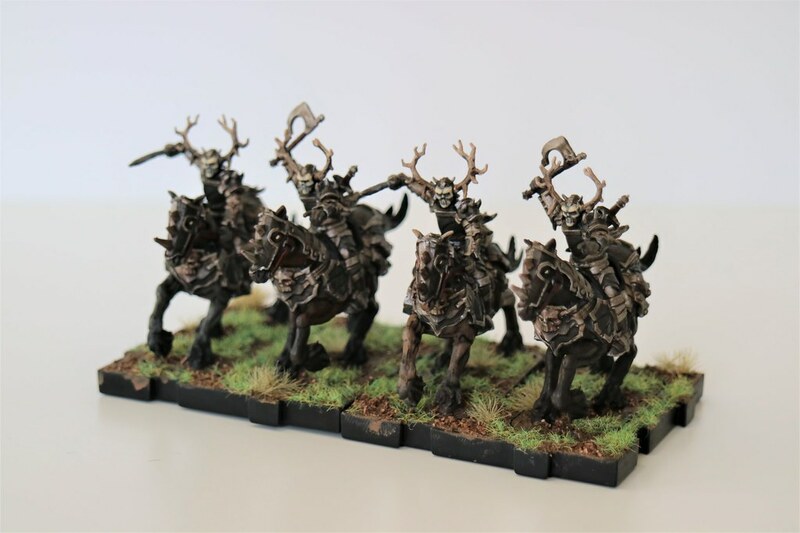 Death Knights! I spent another late night getting these guys finished up, but they were a ton of fun to paint. All the ease of a ton of armor minus the fancy details I feel compelled to put on all my Daqan Cavalry. 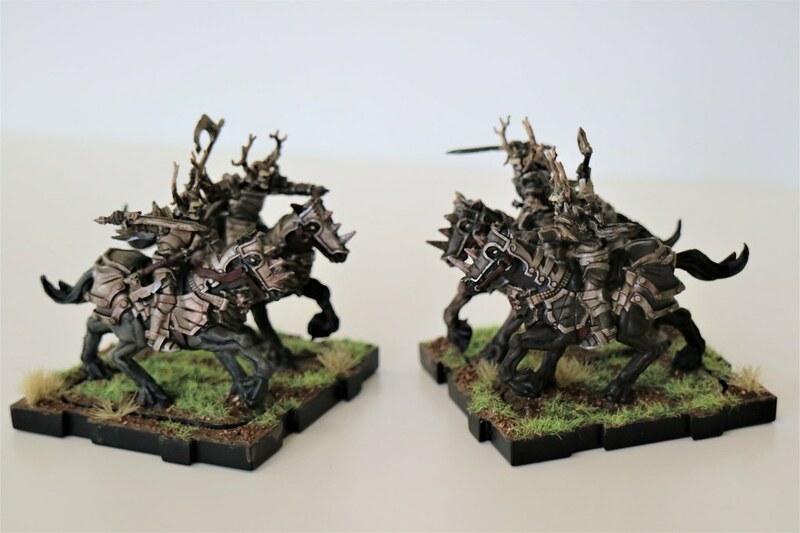 Each knight is two colors, half bright silver and half dark silver with an Army Painter Strong Tone wash over everything and some splashes of crimson/silver for color. 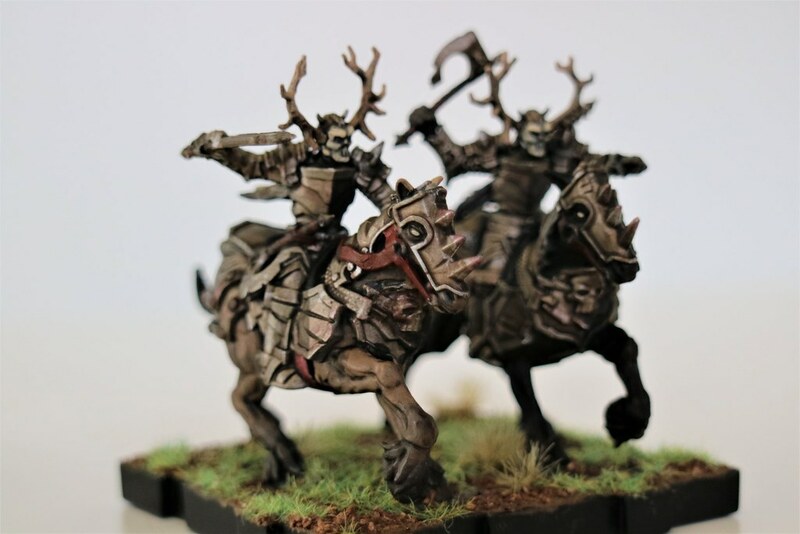 It looks like the official models are wearing some sort of helmet/visor, but they looked enough like skulls that I just painted them as skulls to be more consistent with the rest of the skeleton army. You are a machine, I haven't even built my crossbows yet. I have been procrastating at 8 spearmen for some reason. I have a whole elf core primed too... that's higher priority as I'm out of freaking magnets as the 500 I ordered got lost in mail land... boo hiss. Maegan Cyndewin is all finished up. 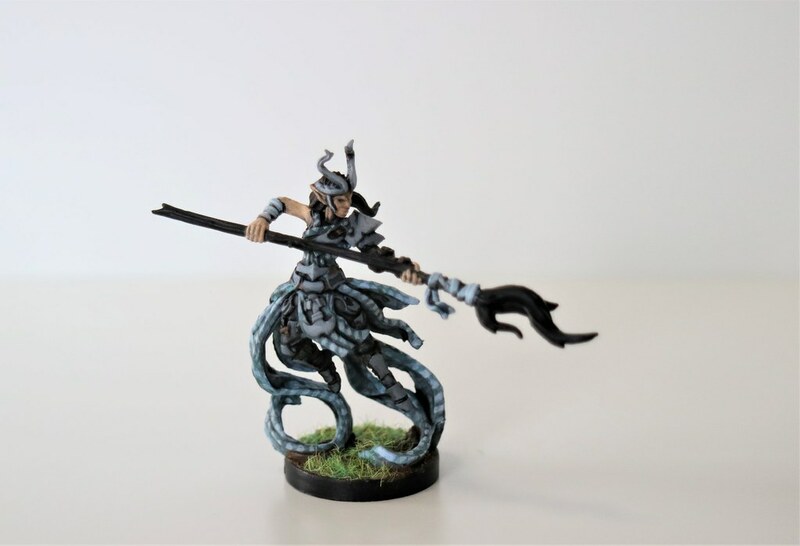 She'd been nearly done for a while (she was the only elf expansion I bought), I just needed to finish some highlights. I took @Contrapulator's advice and painted her with a Blue Spruce theme. 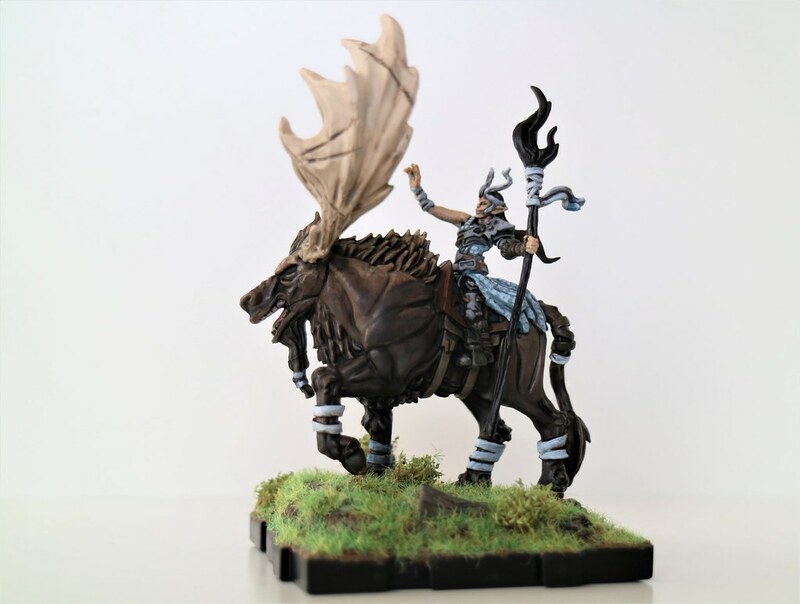 I also liked @Darthain's idea of removing the chin tusks from the moose (as seen in @Wraithist's post). I've kept all the elf weapons black so far, and it seemed especially appropriate for her lightning staff (mop). The Spruce Moose! Lovely as always.